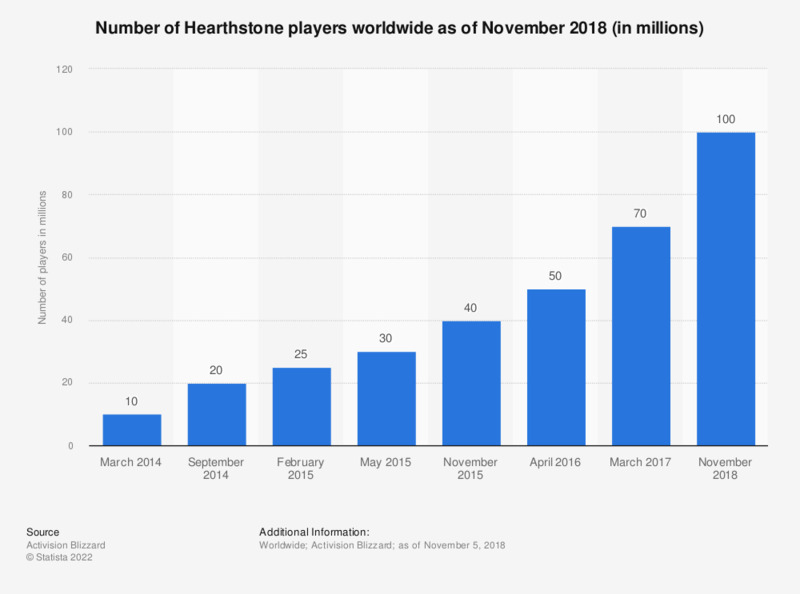 The statistic illustrates the number of Hearthstone: Heroes of Warcraft players worldwide from March 2014 to November 2018. In November 2018, Heroes of Warcraft had 70 million registered players worldwide. The free-to-play digital card game was developed by Blizzard Entertainment, and launched in March 2014. In 2016, Hearthstone was ranked first as the leading digital collectible card game worldwide, having generated 395 million U.S. dollars in revenue. That same year, the game was also the fourth most popular to be viewed on Twitch.